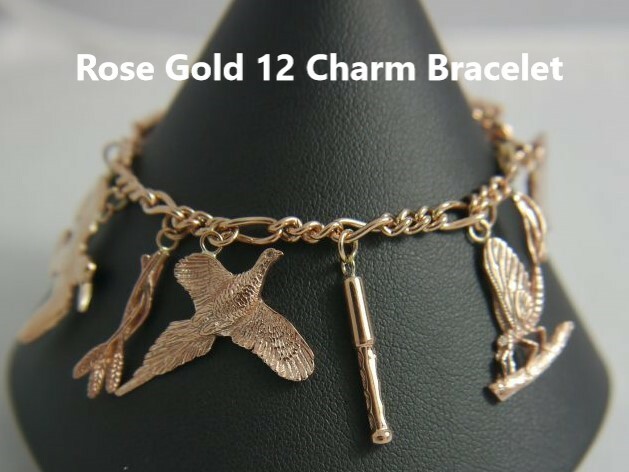 We make charm bracelets with any quantity of the charms of your choice, I have shown a rose gold bracelet with 15 charms and another with 12 charms. 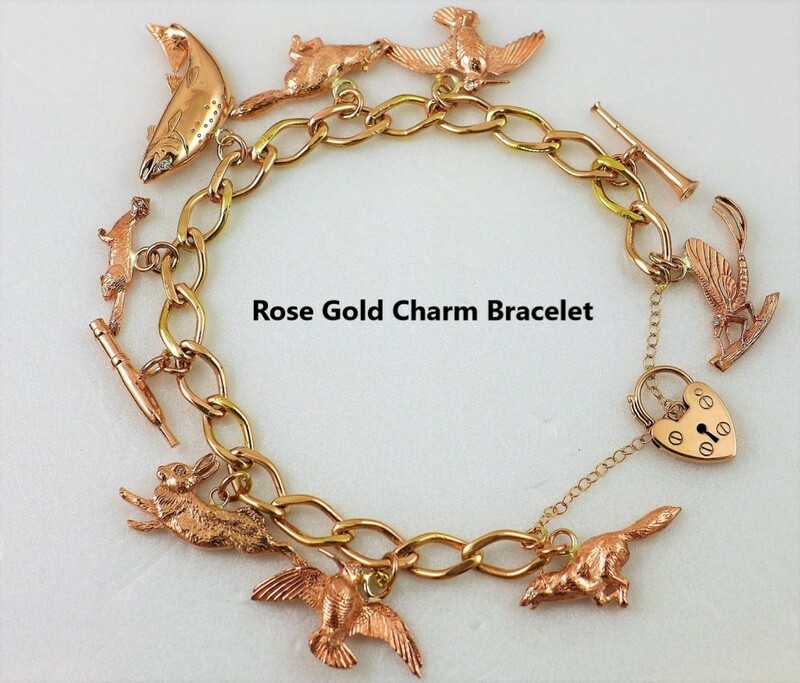 The total weight of this solid gold CHARM BRACELET is 51.5 grms, it has 15 solid gold rose gold charms each with a diamond eye, the heavyweight chain bracelet fastens with a padlock which its self has a safety chain. 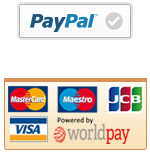 I am happy to quote for any combination of the charms of your choice in either rose or yellow gold. As gold seems to be continually rising in price these heavy bracelets should prove be an investment for the future. For heavy bracelets in excess of 40 grams I am happy to give a discount; the bracelet box is a rather nice light coloured natural wood colour with a white interior which sets off the rose gold very well. Designed in Scotland and made and Hall Marked in Birmingham. 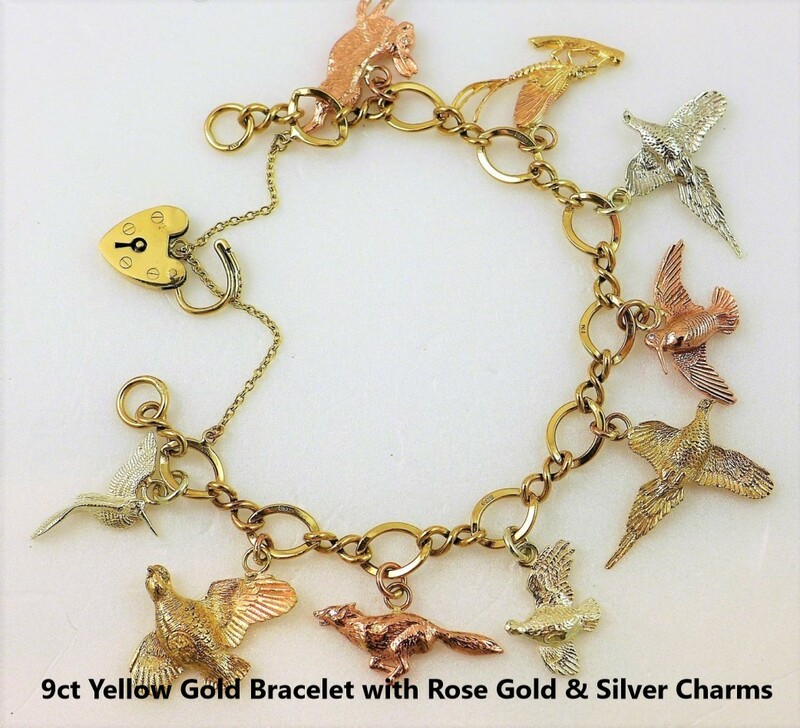 A 9ct gold charm bracelet weighing 36grms , there are 9 charms in three different colours of 9ct gold; white, rose and yellow gold. As usual all the charms have diamond eyes and there is a partridge, pheasant, mayfly, woodcock , running fox etc. Supplied in an attractive box. 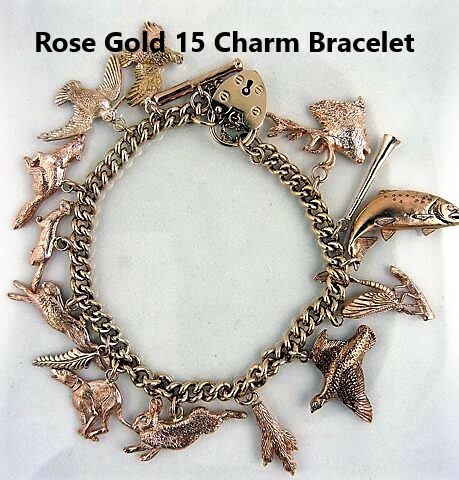 9ct rose gold charm bracelet . 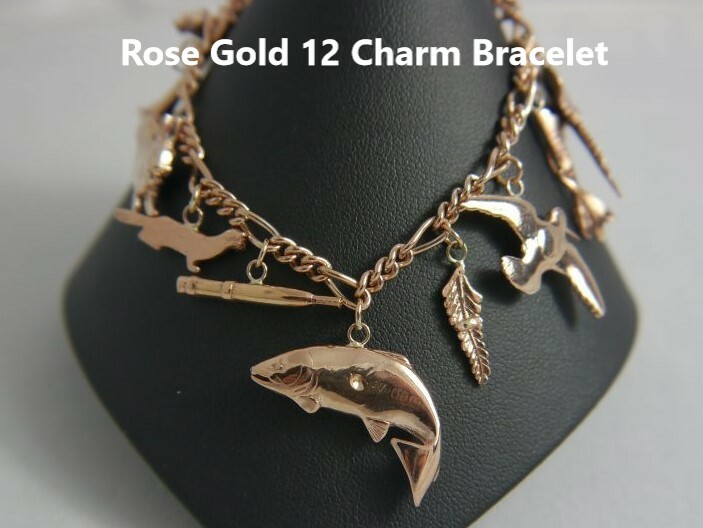 This bracelet weighs 38.2grms of hall marked 9ct rose gold, it has 10 charms including a salmon , pheasant , rabbit, fox , hunting horn, fishing rod handle, mayfly, stoat and two woodcock. The bracelet has a safety chain and a rose gold padlock which fastens the bracelet. All charms have diamond eyes where applicable. 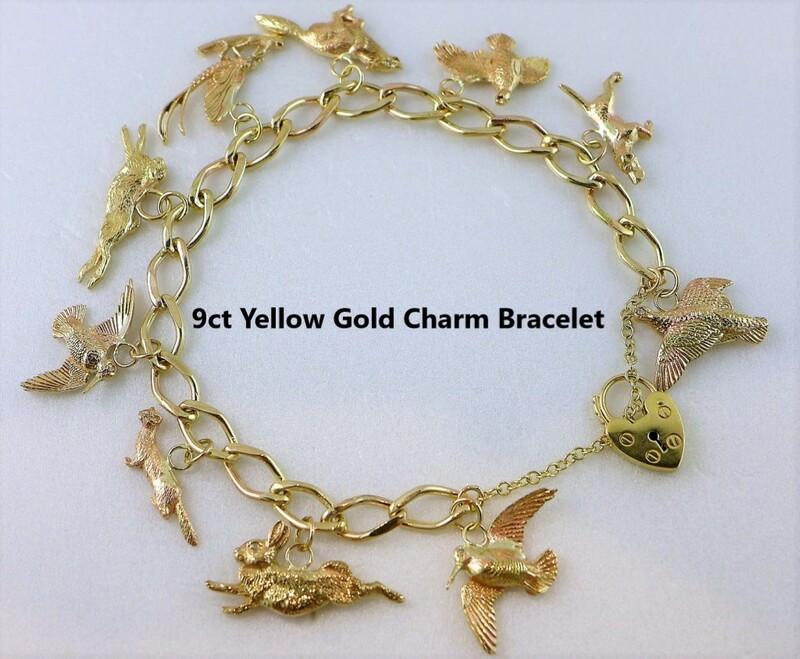 A hall marked 9ct yellow gold charm bracelet weighing 36.5grms with 10 charms and a solid gold padlock. On this one we have a stoat, hare, rabbit, running fox, pointer, two woodcock, mayfly, grouse and a partridge, all with diamond eyes. Again it will be supplied in a very attractive box.